The suggestion that you, a serious author, should start and maintain a YouTube channel is often met with a strange look and not a small amount of disbelief. Of course, you understand the concept of social media and marketing your book and your business, making connections and getting noticed, but video? That's a different kettle of fish. If you’re a writer, you write. Right? If you’re a writer, you are turning what you know, your ideas and what you have experienced, into content that can be bought and enjoyed by the reader. Whether you're writing to teach, to inspire, or simply for entertainment, the medium matters less than the message. 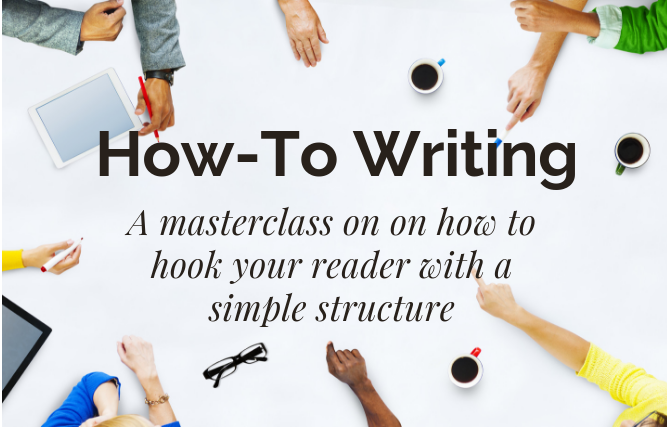 You want a strong connection with your audience, and you don't need to confine yourself to the written word. YouTube might seem like a world apart from writing your book, coaching, or consulting, with clients. But when you establish a connection with a reader, a client, or your publisher, it’s essentially the same thing. You are using it as a way of marketing your book. Promoting yourself and building a following. With YouTube already the 'second largest search engine', and battling with facebook to become the largest social media platform, if you're not active on video, you're missing a massive marketing opportunity for you, your book and your business. Think of YouTube as a social conversation between you, and those out there who want to hear what you have to say. The same way a blog builds a dedicated fan base for your work and offers a way to connect with readers while also acting as free marking and promotional material, a vlog (Yes, Video Blog), does exactly the same thing, in a very accessible format. Free, watchable, shareable content that builds your audience -- potentially by millions -- and brings traffic to your website – the question should really be, "why aren’t all authors YouTubers?" Whether video marketing, or vlogging your story, is something that's only just coming on your radar, or whether you've got some experience and want to take it up a level, our five step guide will help you learn how to market on YouTube. 1. Getting clear: what do you want? I know, I know, you just read about exactly why every author needs to be using video marketing, but that still means you have to come be clear about your specific objectives. You need to think about how you want to market yourself and your business on YouTube. 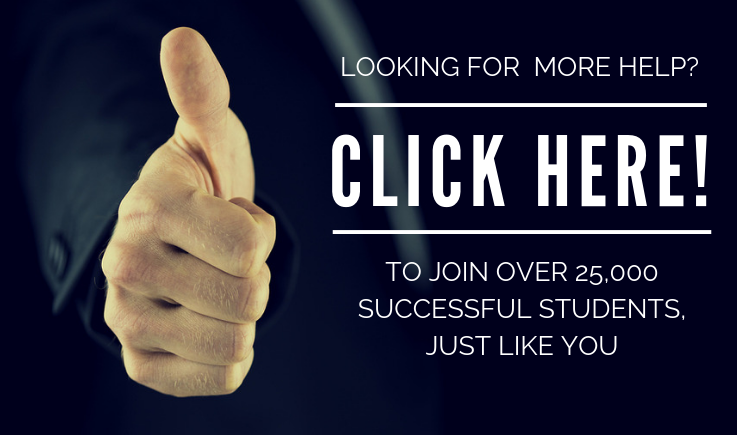 Do you want to build your presence and direct traffic to your site by making videos that go viral and reach millions of 'viewers' if not necessarily 'readers'; or do you want to connect with a much smaller, niche audience and grow your successful, if more 'boutique' style of business around the topic of your non-fiction book? What is your video content going to be about? Are other YouTubers already serving this audience? This is all information that you already know from your work on your book, business and your website; you just need to tweak it and drill down into the audience you want to reach with your video marketing. What is it specifically that you can talk about that will draw an audience to you, and to your book, and make them stay, week after week? Find that, take it, and film it. So you’ve got your idea, you have clear objectives and you’re ready to make your channel. How do you start? This, thankfully, is the easiest step of all. Public relations consultant and author of Entrepreneur Magazine's Ultimate Guide to YouTube for Business, Jason Rich, gives you an easy to follow step-by-step guide. First, you need a Google Account. Any kind will do, and if you don't have one already, the easiest way to get started is to set up a gmail account. From there, you can create your own YouTube channel using the same security and personal information from your Google Account. And then you can customise your channel by changing your profile photo, adding a logo, and adding links to your website and other social media accounts. And you can use business-specific graphics in your header channel art (header), and of course add a description (a chance for another link) or connecting to your social media for automatic posting of new videos. You can go with a personal name or a business name -- which ever is most appropriate for your business objectives. You could create one for your book, but maintaining it might become a chore, and better to test your relationship with video marketing by having one main channel. If you love it, you can create more. So, now you’re set up with your empty canvas – it’s time to start painting. When it comes to making your actual video, the market is overflowing with video and editing tools and software – the hard part is choosing. For shooting, you can start with something as simple as your iPhone or other smartphone (which can be almost as good as a $1,000 camera -- check out this comparison). Or you can go the DSLR route cameras -- a nice simple choice if you already have a camera. It all depends on your expertise with the technology and your budget. If you're starting out, our advice is keep it simple -- learning a new technology can be overwhelming and you risk not getting started at all. Roberto Blake covers his top picks in each budget category for your YouTube filming. If you’re after top notch quality and have a larger budget, then your best bet is a DSLR camera, either Canon or Nikon. The higher cost brings manual focus, swappable lenses, and overall better quality film. If you have a bit of camera know-how and are willing to part with a bit of money for all the bells and whistles, then either Nikon or Canons are your best bet. For beginners who want the higher quality without the expertise, Blake suggest the Canon T series as the best beginner level DSLR, as they are easier to handle and require less know-how for better quality image. The cheaper option is a simple point and shoot camera – between the DSLR and the traditional model, these cameras take good quality video, don’t rely on extra lenses or special focus, and come in quite cheaply Blake recommends the Nikon Coolpix, as well as Sony or Panasonic point and shoot cameras. If you’re pressed for time and money, then stick with the smart phones you already have. The newer models of both iPhone and Samsung have strong filming features and good quality sound – and they also sync with your computer immediately through software like DropBox or iCloud -- a time-saver over using an SD card. Whatever device you go with make sure you’re comfortable using it. Start where you are -- you can always upgrade once you feel ready to advance to the next stage. Software and technology is often an area that holds back the fist-time video maker. Again, there are different options depending on your budget and your level of comfort with the technology. The free software that comes with your Mac (iMovie) or your PC (Windows Movie Maker) is a good enough place to start. And of course as they are free, it's a winner in the price department! Both are basically 'showreels' and allow you cut and chop your video into a simple format. You might miss the multi-track editing and timelines, and start to want the advanced features that come with more expensive software. but if you're looking for affordability and ease of access then start here. For more advanced software with all the bells and whistles, Adobe Premier Pro (US$20 a month) or Apple Final Cut Pro version 6 (US$599 once off), are the best ways to go . Both have advanced editing functions, are easy to use, and deliver professional level videos. In terms of what sets them apart from each other, Adobe Premier Pro is widely used, and is intuitively similar to other software -- so if you move away you have a head start on a different platform. For Mac users, Final Cut Pro is the standard, a little more affordable and, as an Apple product, you; find it similar to using other Apple software. If you've ventured into the world of screencast video, then you can certainly get started with the same software. We recommend Camtasia on your PC, and Screenflow on the Mac. And a final word -- if the technology seems daunting -- it's easy enough to outsource the editing part! Some experts think it's easier to rank on YouTube than it is on Google. YouTube is an internal search engine (meaning it searches its own content, rather than trawling the web), which means the algorithm doesn't need to be as complex. Which means it's (theoretically) easier for your content to be seen. The basics are pretty obvious: they're all about content. And the second group is all about interaction. For the content YouTube is looking at title tag information, using your keyword in the description, using tags, video length, and so on. Make sure that your description is long, and keyword rich, and tag your video with the appropriate tags. A more in-depth analysis of YouTube ranking factors from Search Engine Watch, revealed the importance of the less-obvious audience reaction factor -- i.e., interaction. This includes how many comments you have, likes, dislikes and the ratio between them, subscribers, shares, and so on. It's what your audience thinks of your content and how much social reach it has -- more difficult to get right from the start. It’s not unusual to see a call to action for a like, or a subscribe, at the beginning of a post, or to end with instructions on how to do this. In the same way as blogs get noticed by the number of shares they get, your YouTube channel will get noticed the more interaction it has with the audience. And, just like your website, stimulate this with good content. Ask questions, encourage participation. And network with other YouTubers, carry out interviews, guest video post for other channels, and ask them to do the same for you. And follow what your audience likes and shares. Produce more of what they want and enjoy, and your channel will grow organically. Once you’ve got your channel, you’ve got your content and you’re successfully driving traffic, all you need to do is maintain this. Easier said than done! Vlog Nation suggests that the best way to keep and increase your audience is to know your audience, be passionate about your topic, remain positive, and post frequently. It’s easy to get behind on the video creation, but the attention span of the Internet generation is short. If you’re not keeping your audience entertained, someone else will. Try batching your video production, do them all one day a week, send off to the editor and you could have a months' worth of content. Or do it little and often, get into the habit of a short opinion piece every weekday morning filmed on your phone. Stick to a production schedule that works for you. Starting and maintaining a YouTube channel can take a bit of focus and effort. Find a way to do it that you enjoy, and bring your audience into the conversation. Yes, it's all about the marketing but, ultimately, if you don't enjoy the work, then you won't keep it up. Video is simply a different way to connect with your audience -- it's still about the connection though. Which, at the end of the day, is why we do it.